OOPS, how come my bottle of Budweiser burst? A key customer put several millions of dollars of glass containers on hold because of a quality issue that could lead to glass breakage on the customer’s filling lines. The particular quality concern was called “cord” which comes from an uneven melting of the glass batch in the furnace and which cannot be seen with the naked eye. The customer said that the process behavior charts accompanying the shipment indicated that cord was unpredictable and some of the individual values were out of specification. Cord is measured in the lab using samples of glass. These values are charted on a process behavior chart (PBC) for each production line. These PBCs are included in each shipment so the customer will have documentation of the behavior of cord values. Conversations with the customer followed the hold of the containers until a resolution could be reached. However, as time passed and reached a crisis point, the company reached out for help. Several of us at the corporate office, consultants and company specialists, spent an entire day and part of the night researching the types of cord and how cord can lead to breakage. We put together a presentation for the customer that included the process behavior charts they mentioned as well as other information about cord, specifically the current specifications and how relevant they were in this context. Rather than take the “trust us” approach, the presentation focused on the types of cord in glass and which one can lead to breakage as well as the appropriate specifications that would protect the customer. The next morning we all flew to the customer’s headquarters where the Quality Manager delivered the presentation and answered questions. After the presentation, the customer asked questions and the Quality Manager plus others gave answers. The customer was satisfied with the information and agreed to accept the product that had been put on hold. The expertise of the glass company’s employees together with that of the consultants led to a presentation whereby the customer was given in-depth knowledge about an issue. With that knowledge, the customer decided to accept the shipment of glass containers. 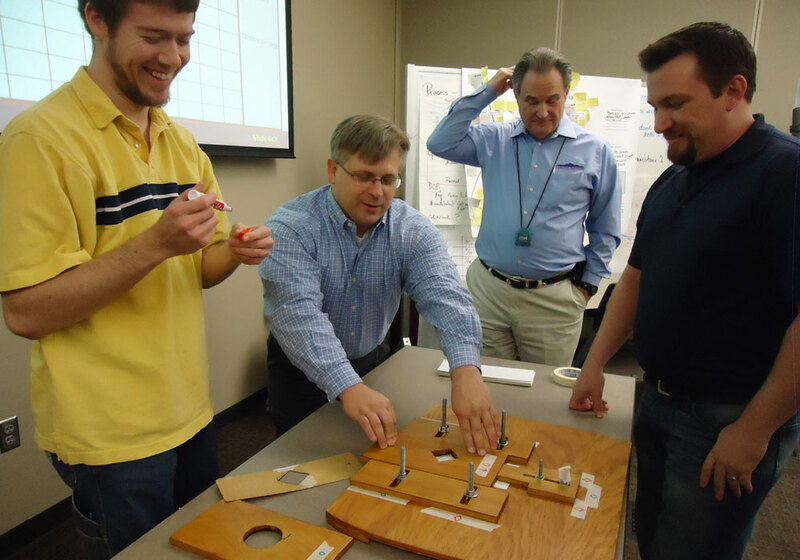 Building knowledge on critical characteristics of products and treating the customer as an integral part of the decision-making process led to easier resolutions on sticky issues.